Choose your favorite design & coordinate with your home decor! Choose from our bank of 120 colors to create an area rug with a color palette that matches your decor or vision. 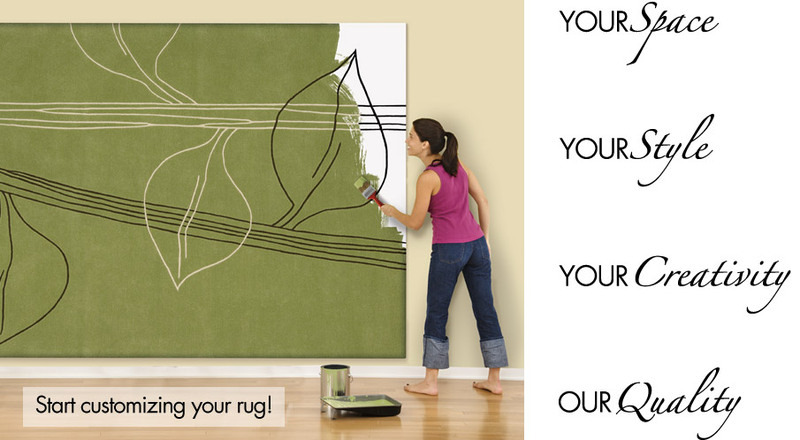 All area rugs are hand-tufted of 100% New Zealand wool, with a super dense pile. Surfaces are finished with a plush, smooth finish, and hand-carved design or a hand-sculpted, raised finish. *Minimums may apply. Please see a sales associate for more details. Rugs shown are of a specific size, design details will vary with size changes.